Some said there's a season for everything. And eating seasonal is the way to go. So what has the angel food cake has anything to do with seasonal eating? Everything! Remember your new year resolutions to lose weights? This is also the time of the year I pulled out my tube pan and make angel food cake, the fat-free dessert I adore. Combined with my favorite citrus, I don't mind eating it whether I am on diet or not. 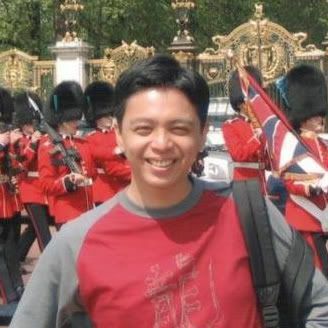 Come to think of it, I don't remember myself being on diet before, except for the two weeks leading to my wedding. The stake of not able to fit into the custom-made wedding gown was far too high! Anyway, my point is- whether you are on a diet or not, don't skip desserts! At least I won't. All we (I mean, you who are staring at this screen have considered of losing weights after the festive eating, no?) need is a good strategy. No point eating a bite of brownie which make you crave for more, (and end up doing just that) or a tiny sliver of cheesecake which could easily be blown away by the strong gush winter wind. I rather have a healthy serving of a piece of this. This airy, flavorful, fat free, good for you angel food cake! Since new year is about a healthier, slimmer and prettier you, where not pair the angel food cake with a cup of warm honey lemon drink? Some experts claim that it's good for detox. 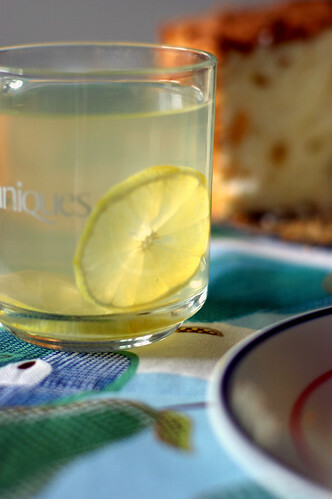 There are some really gluesome regimes for body detox, but for me, honey lemon drink is a sweeter way to do it. If lemon is not your thing, you can easily substitute it with orange, lime or grapefruit. I am sure you can also try clementine and tangerine, although the flavors may not be as assertive as the rest. 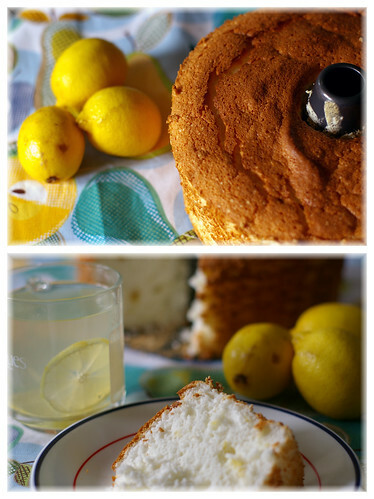 I am waiting for the meyer lemon season to come, so that I can make a Meyer Lemon Angel Food Cake. Adjust the oven rack to the lower middle position and preheat the oven to 325F. Have ready an ungreased 9-inches, 16 cups tube pan. Whisk flour and 3/4 cup sugar in a small bowl, set aside. In a dry, clean electric mixer bowl, beat eggwhites on low speed until foamy. Add in cream of tartar and salt, and increase speed to medium high. Continue to beat, adding the remaining 3/4 cup sugar, 1 tablespoon at a time, untill all the sugar is added and the whites are shiny and form soft peaks. Beat in the lemon juice, vanilla extract, lemon zest until just blended. Sift the flour mixture over the whites, about 1/4 cup at a time, and gently fold it in using a large rubber spatula. Gently scrape the batter the batter into the pan and smooth the top with a spatula. Give the pan a couple of raps on the counter to release any large air bubbles. Bake until cake is golden brown and the top springs back when pressed firmly, 55 to 60 minutes. If the cake pan has prongs around the rim for elevating the cake, invert the pan onto them. If the pan does not have prongs, invert the pan onto the neck of a bottle or funnel. Let the cake cool completely upside down. The cake tastes best when served the same day it is made. But we enjoy it just as much in the following few days. Mmmmmm...I LOVE angelfood cake! It's my second favorite dessert! Wow, the cake looks absolutely wonderful. I was wondering what did you do with the leftover egg yolks? This cake looks delicious! I have a friend who makes a similar cake. I just might have to dig up her recipe. Nice cake, Mandy! Unfortunately, angel food cake is not a low-calorie cake (all that sugar), unless you use Splenda. If you can find easy ways to burn off that sugar, then it's a real treat! Is Angel Cake almost the same as Chiffon cake? They taste very similar, but probably not...you're the expert baker, tell me? oh man, angel food cake is my favorite cake! I need to try making it! It looks divine, but I have to agree...this is not diet food with all that white flour and sugar. I'm fairly certain it would fail with Splenda... Lovely pictures, though! This looks amazing. It is my husband's favorite cake, I think I'll make him one. Hey Mary, you should make some pastry cream with those yolks to slather on the angel food! OK so it is no longer non-fat but it is fabulous!!! I am a PROFESSIONAL CHEF with a Master's certification as a PASTRY CHEF (graduate of Peter Kump's Culinary Institute), so I rarely find any recipes on the blogs that can hold a candle to my own. However, I liked the "Light" aspects of your lemon angel food cake because my boyfriend "Big Bear" weighs 437 pounds, and has no neck whatsoever (he looks exactly like Bobby Hill of the "King of the Hill" program). Since he has no teeth left (some kind of drug I think) this cake will be perfect for him . . . lower cal and nice and soft. Thank you for posting a recipe that even I will be able to use. 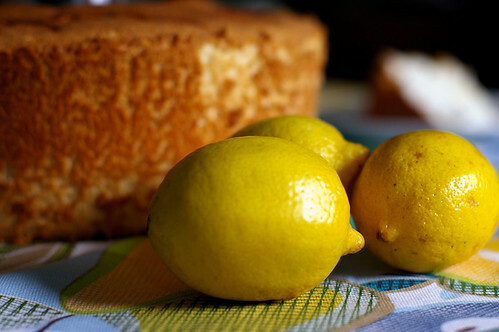 I adore meyer lemons and adding them to this cake sounds fabulous. You're right, any diet that prohibits desserts is bound to fail eventually! this cake sounds like it will taste as good as it looks. I also think that it would fail with splenda, somehow it's just not quite the same. But i COMPLETELY AGREE with you about not skipping dessert! when you are depriving yourself on a diet, that's when you end up failing! 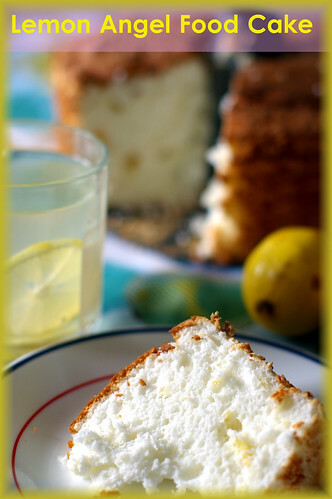 I have been craving a angel food cake, and one with lemon sounds even better! i thought of the same thing as Rasa Msia-what's the diff bet angel food cake n chiffon cake, then rmembered how pale ur cake looks n checked the recipe and sure enough, no yolks were used. is tt the diff? i love Meyer lemons, which we only get sometimes at TaiSeng. Thanks for the recipe, i will make one NOW. What perfect looking angel food cake! I've only made angel food cake from scratch once and it didn't turn out so well. yummy! but 12 egg white?! what did you do with the egg yolks then? I don't know why everyone is so harsh about the sugar and flour-it is still cake! She didn't say it was health food-just fat-free. Which if you are going to eat dessert is better than eating regular high fat cake. I wonder if you like chiffon cake too? good questions. There are many uses of eggyolks. Eg, lemon or other citrus curd, pastry cream (to fill up creampuffs), make sables (check out the sable recipes on my blog). I will start with making lemon curd first though. hey doc, I think 150cal per serving is still acceptable,haha ;p No splenda for me, please. Angel food cake and chiffon cake look very much alike externally, I think the main different being angel food cake uses only eggwhites + sugar + flour and no other form of liquid and fat ingredients. Unlike Chiffon cakes which use whole eggs in the process and incorporate oil and other liquid to impart moisture and flavor. The cake has 150cal per serving and fat free, I think it doesn't fare too bad :) I agree that splenda may not work here. Even if it does, I am not sure I want to use that. that's an idea! I am sure it would taste heavenly. Thanks for the inspiration! thanks! I hope your bf will like it. I have also just added the nutritional info per serving, hope it will be of use. absolutely. I think everything in moderation is the key. glad you like the lemon angel food cake. wow, I didn't know I can get meyer lemon in KK, must check out when I am back. For diff between chiffon cake and angel food cake, see my reply to RM above. thanks! I guess practice makes perfect. good question. I am going to start by making some lemon curd. If I were at home in Singapore, maybe I will use them in Kuih Lapis!!! do a search on my recipes, there are quite a few that contain meyer lemon!!! The lemon tart is my fav! That's my husband DocChuck claiming to be "Chiffonade" again. 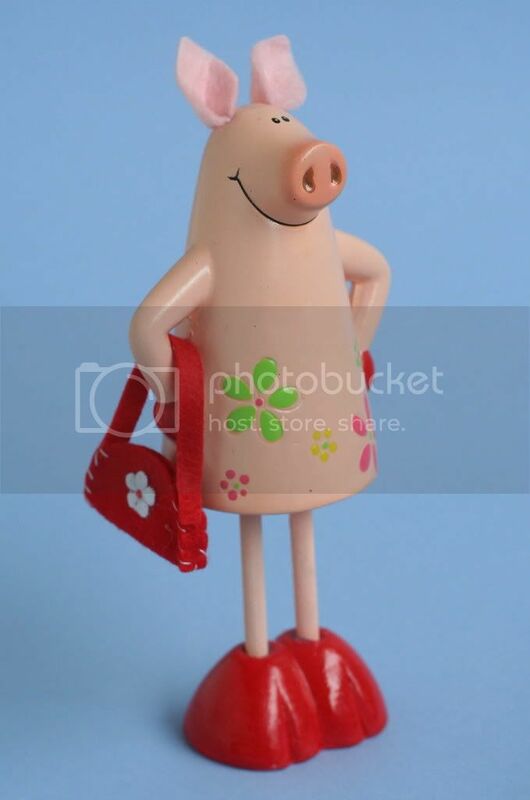 Just what I was looking for...found you through a google search! I'll be making this with meyer lemons! yay! 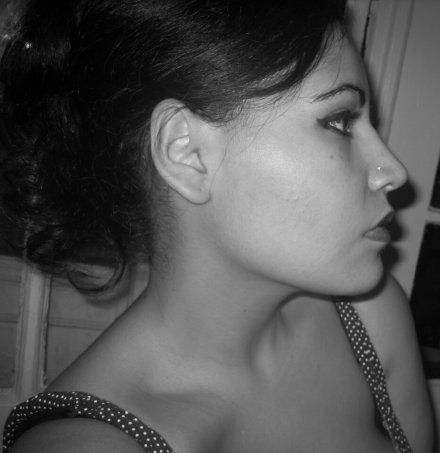 Oh, I hope you are around. 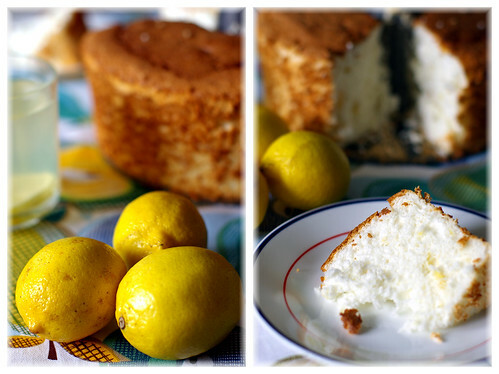 I made your lemon yogurt cake and now I want to make this angel food cake. Question: Can I use "Evaporated Cane Juice Sugar or do I have to use regular white sugar? The cane juice sugar states it is perfect for baking and cooking.It is a finer grain.